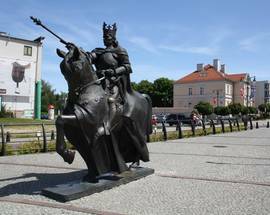 On June 8, 1457 Polish king Kazimierz IV Jagiellonczyk rode into Marienburg (Malbork) Castle after Poland took possession of it from Teutonic mercenaries and took homage from the town burghers. 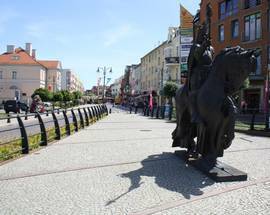 This event marked the beginning of the ‘Polish era’ in the town which was to last for over three hundred years up until the First Partition of Poland by Prussia and Russia in 1772. 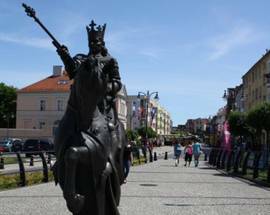 King Kazimierz’s (Casimir in English) reign is seen as the beginning of the Polish Golden Age during which time the Jagiellonian dynasty became one of the leading royal houses in Europe. 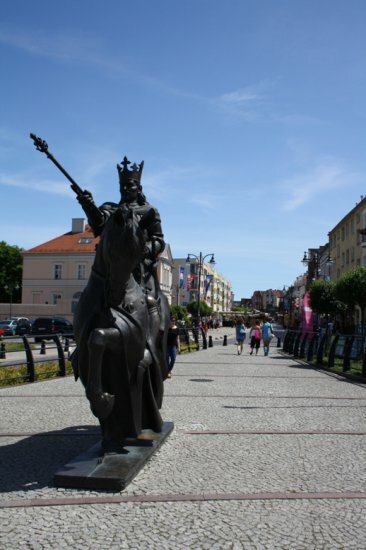 Kazimierz was the second son of Wladyslaw II Jagiello, the Grand Duke of Lithuania who took Christian baptism and married the Polish Queen Jadwiga so uniting the two nations in an alliance that would deal the first of a series of ultimately fatal blows to the Teutonic Order at the Battle of Grunwald in 1410. 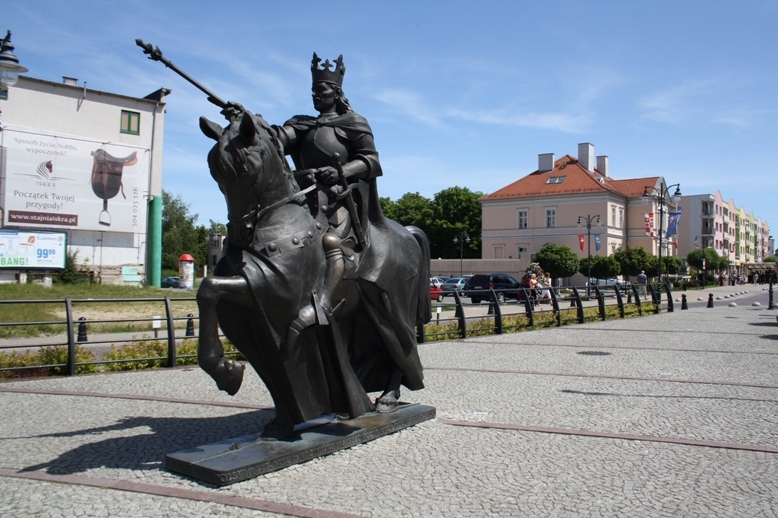 Kazimierz, already Grand Duke of Lithuania, came to the throne of Poland in 1447 at the age of 20 and his 45 years on the throne saw Poland and Lithuania’s position strengthened through Kazimierz’s marriage to Elisabeth of Austria and a series of alliances with other central European dynasties which eventually saw the combined Polish and Lithuanian territories stretch from Estonia to the Black Sea. 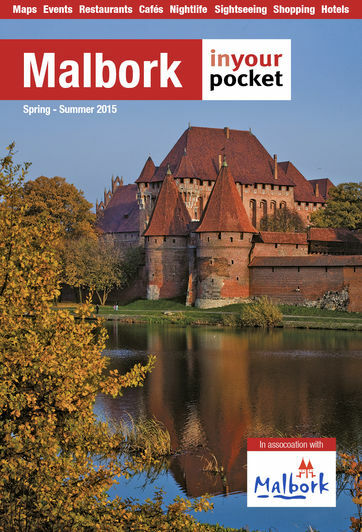 Kazimierz died in 1492 and is buried in the Royal Crypt at Wawel in Krakow. 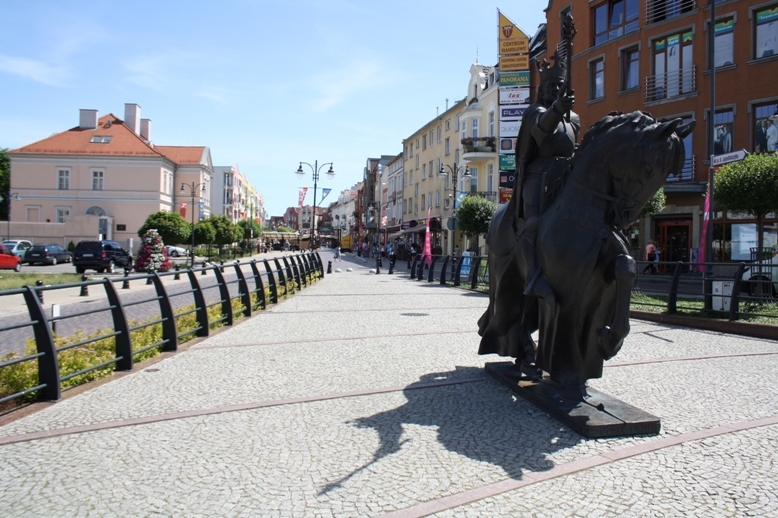 This 3.5m tall bronze statue was unveiled in 2010 and is intended to remind people that the town has a strong Polish history as well as Prussian/German and Teutonic.